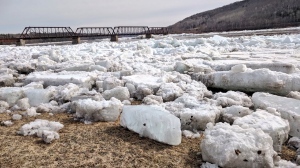 Anglophone West School District: All schools are closed. Anglophone South School District: All schools are closed. Anglophone North School District: All schools are closed. Anglophone East School District: All schools are closed. Francophone North West School District: All schools are closed. Francophone North East School District: All schools are closed. Francophone South School District: All schools are closed. Tri-County Regional Centre for Education: All schools are closed. Annapolis Valley Regional Centre for Education: All schools are closed. South Shore Regional Centre for Education: All schools are closed. Halifax Regional Centre for Education: All schools will delay opening by two hours. Buses will also operate on a two-hour delay. Lunch and dismissal will be at regular times. Chignecto-Central Regional Centre for Education: All schools are closed. Strait Regional Centre for Education: Classes are cancelled at all schools. Support staff are asked to report to work at 10 a.m.
Cape Breton-Victoria Regional Centre for Education: School buses are travelling paved roads only. 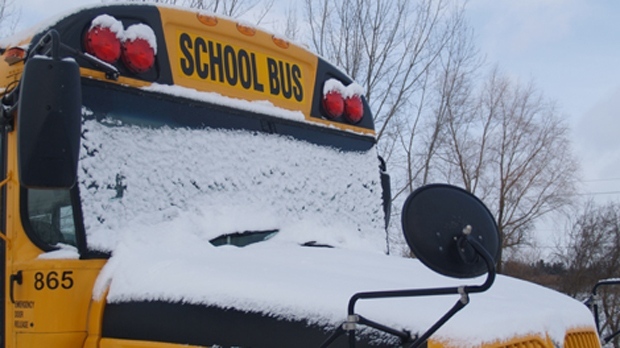 CSAP schools in Dartmouth, Halifax, Bedford, Sackville, and Porters Lake will delay opening by two hours. Public Schools Branch: Classes are cancelled at all schools. French Language School Board: All schools are closed.